Water heaters are the third largest consumers of energy in homes. Going Tank-less helps to reduce overall energy consumption in your home by as much as 15 to 20%. Going Tank-less is a great step to Going Green. 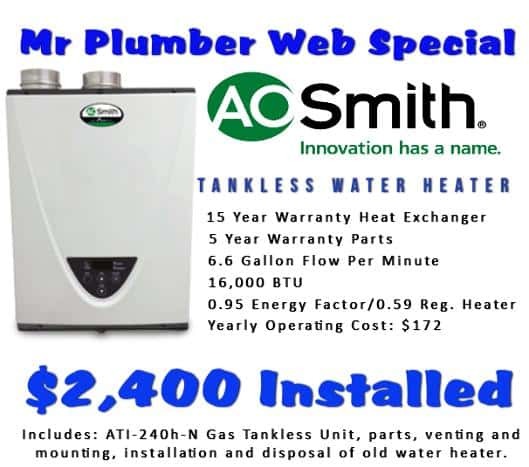 Conventional water heaters are less energy efficient because of the heat loss associated with the storage tank. Add to that the continual consumption of energy trying to keep the water hot and you have the third largest in home energy consumer adding to your bill each month. Heating water only as it’s being used means you will never run out of hot water again. After the few seconds it takes for the water to reach the designated set temperature, our tank-less water heaters will continually provide a steady flow of hot water for as long as your application needs it so go ahead…wash those clothes while you run the dishwasher and take a shower! And if you’re buying a new tankless water heater, our plumbers will steer you in the right direction so your choice is always what serves your needs best. We will beat any written installation quote, and you will know the flat-rate price up-front. You can trust our quality with a written guarantee. 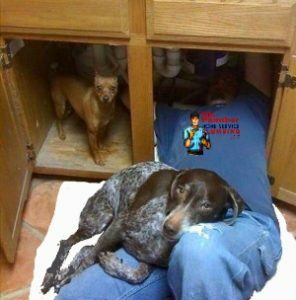 Mr Plumber Phoenix and Scottsdale Home Service are full service plumbing companies. We provide the parts, the heaters AND we install them for you. All you have to do is call and choose a time that is convenient for us to come by. The Friendliest Service Around and Our White Towel Service insures your home is left clean and tidy. Join Plumb Sweet Deals for our monthly coupons, discounts and offers before they are advertised.